If I could dehydrate regularly, I would make granola, crackers and some type of bread each time. I could live on this food for sure. 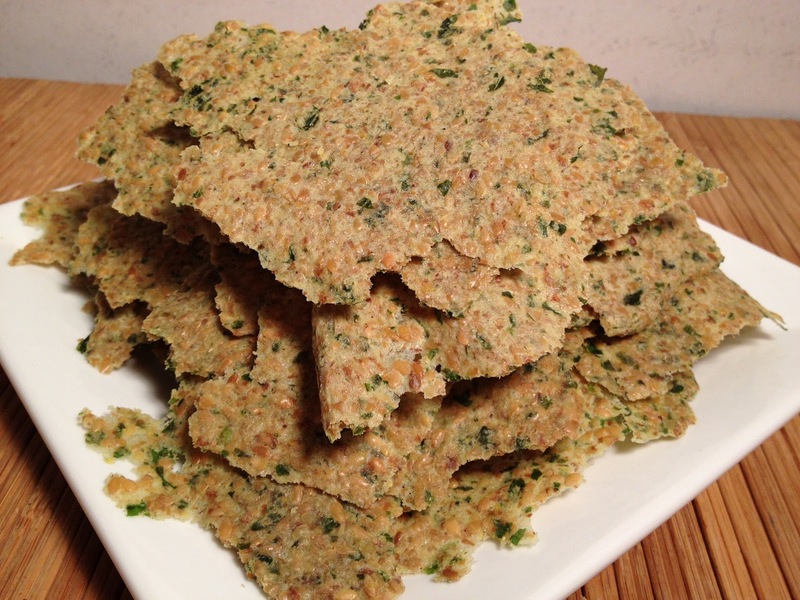 Crackers for me are my bread for now until I learn how to make other raw breads. I found this recipe in Rainbow Green Live-Food Cuisine by Gabriel Cousens, M.D. It’s for flax crackers but they are made with almonds too. I am beginning to think that almonds are the raw vegans’ “steak”.. for lack of a better word. Almonds are found in so many raw recipes. It’s exciting! I think I want to start ordering them in bulk- as in from an almond farm. If anyone knows a good almond dealer let me know: organic, raw and as local as possible! Thanks. Combine all of the ingredients (except for the flax seed) into a blender and mix well. Then transfer to a mixing bowl and slowly add in the flax seed. Scoop onto dehydrator sheets. These crackers look similar to the LEMONGRASS COCONUT CRACKERS from the other day- but they taste completely different. Enjoy!